It's an extremely cool little thing. When IK announced it, I was a little skeptical but I had a play around with one in a shop yesterday and was really impressed, both with the sound and the ease of use. For a couple of hundred it is really quite amazing. If you don't know what it is, it's a two oscillator full analogue synth with a multi-mode filter, arpeggiator, sequencer, delay and 100 presets. There are editors for it for Mac, PC and iOS, standalone or VST (for Mac/PC), which unlock extra features you can't edit from the front panel. e.g. You can only edit half the envelopes' parameters with the knobs, you need the editor for full control. It runs on batteries or USB power and has MIDI In and Out. It's not the greatest synth in the world but for the money it is way better than you might think. More importantly, it is heaps of fun to play with. Yeah, I was mucking around with it for an hour or more tonight. It really is a cool little thing. I've even been using it a lot as a MIDI controller. I thought I'd hate the touch panel keyboard but it's actually tons of fun sliding your fingers around instead of banging away. bones wrote: it's actually tons of fun sliding your fingers around instead of banging away. That is the only review worth watching. Nick Batt is the only reviewer who goes beyond describing the functions and actually shows you how to use it and what you can get from it. Some of the sounds he gets towards the end of the video give you a good idea of what you might expect from this thing. yeah he is good, shows the bad and good. Nice to hear your feedback on hardware synths. But: I'm completely on software synths (since years). In time I was struggeling: A Nord Lead, a Virus, ...That all makes it complicated: MIDI stuff, back into the mixer and so on. The trick is keeping it simple. In my current set up, Uno, Rocket and MicroMonsta feed into my Yamaha AG06 mixer, which is also my audio I/O from the laptop. They are no more effort than a softsynth most of the time, especially the Uno with it's editor VSTi. MicroMonsta doesn't do USB MIDI, so it gets MIDI through the Uno (on a different channel) . Orion sends MIDI from my Roli and the Uno back out to the modules, so I can play them from either keyboard. Because the mixer is also my USB Audio device, recording is a doddle. The reason I've been getting more into hardware over the last couple of years is that I find it much more inviting when it comes to just messing about looking for inspiration. Yesterday, for example, I spent about half an hour refining a soft string pad in the MicroMonsta. I'd never spend that sort of time tweaking a softsynth, I'd scroll through presets until I found something close and then spend a minute or two tweaking it to fit into what I'm working on. It would still take as long, it's just that I'd spend most of the time scrolling through presets, which I find incredibly tedious. My bandmate is the same. He had to buy a 16 channel mixer to get all his hardware working (some of it is mine). 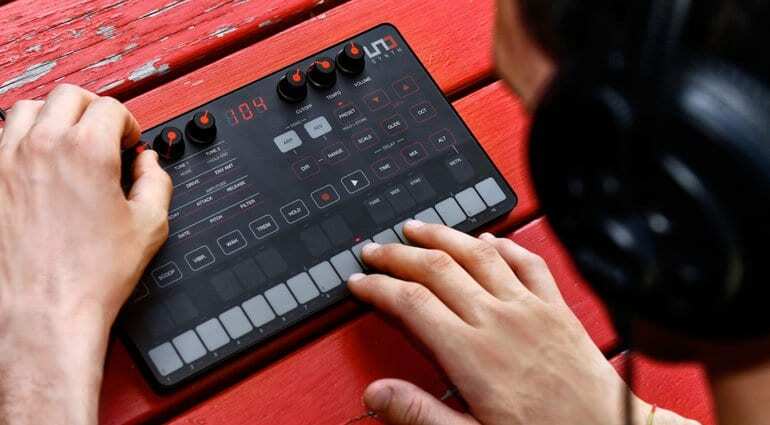 Uno seems like a cool little synth. That is one thing that I don't need more of atm. I do like my hardware though. However, more often than not, if I want to take the track further, I will replace each hardware instrument with software. Sure I could record the audio in, and sometimes I do. The factors that make this more troublesome (latency, MIDI, Sync, limited edit-ability) than just substituting software outweigh most of the benefits. Occasionally, though, when I am really digging what I have created with hardware, I will record those tracks back into Orion. There is no right or wrong. I never let anything get that far. As soon as I've got a sound or a riff or anything going, it's straight into Orion. As always, we mostly have hardware to use on stage and last weekend I was porting a few of our older songs over to 64 bit, which means leaving my SE synths behind, so I decided to try and replace them with my hardware synths. It worked well enough that I'd definitely want to do it live, even though it was just a bit of an experiment at the time. It's easily more than 20 years since I used a sequencer to play an external synth, and the first time I've done it from a computer, so it should be interesting.